1. Apple and cinnamon. 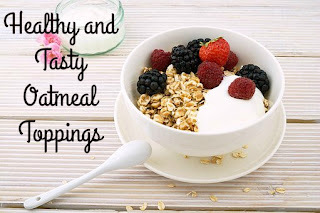 Chop an apple into slices and spread out over the oatmeal. Sprinkle cinnamon over. 2. Fruit and yogurt. Replace milk with yogurt and add some chopped berries or fruit. 3. Banana and cinnamon with honey. Slice a banana and place over the oatmeal. Add a little cinnamon and honey. Mix all together if desired. 4. Banana nut. Slice up one banana. Add to oatmeal and stir in two tablespoons of chopped walnuts. 5. Trail mix. 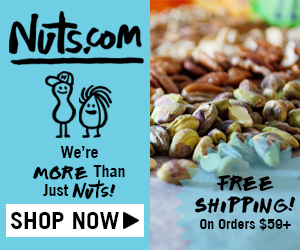 Top with any nuts or seeds such as almonds, cashews, walnuts, cranberries, raisins, or sunflowers. 6. Fig and honey. Mash up one fresh fig. Stir in fig along with half a tablespoon of honey. 7. Strawberries and cream. Add half a cup of strawberries and 1/4 cup of milk. Stir well. 8. Mango and coconut. Chop one mango. Stir in half. Place the other half on a plate to eat on the side or keep for later. Add desired amount of coconut. Mix. 9. Cinnamon and peach. Remove the pits from two small peaches and slice or mash. Add to the oats. Sprinkle desired cinnamon. Mix. 10. Dates. Remove pits from 1/4 cup of dates and stir in. This is my favorite topping! 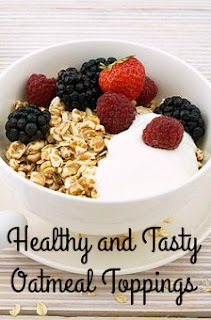 If you eat oatmeal, do you add your own toppings? I love oatmeal. It's like a blank canvas, and you can add whatever your heart desires. Your ideas are fabulous - my favorites are dried or fresh fruit. Often I add a sliced banana before cooking. Cooking the banana with the oatmeal adds wonderful flavor. Sounds delicious! I love oatmeal. My go-to topping is any kind of fresh berries. I will certainly try some of these ideas.